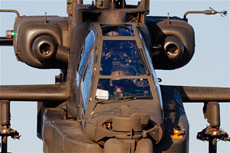 The head of the runway 28 at Gilze-Rijen remains one of the most spectacular places in the Netherlands for aircraft spotting. 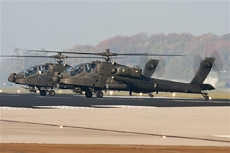 This spot is ideal especially for photography of the departing Apaches of the no 301 Squadron. It is the most beautiful spot with wind from Eastern direction. 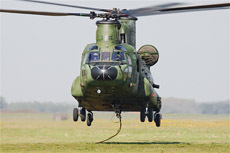 The helicopter will fly at a very low altitude during departure. 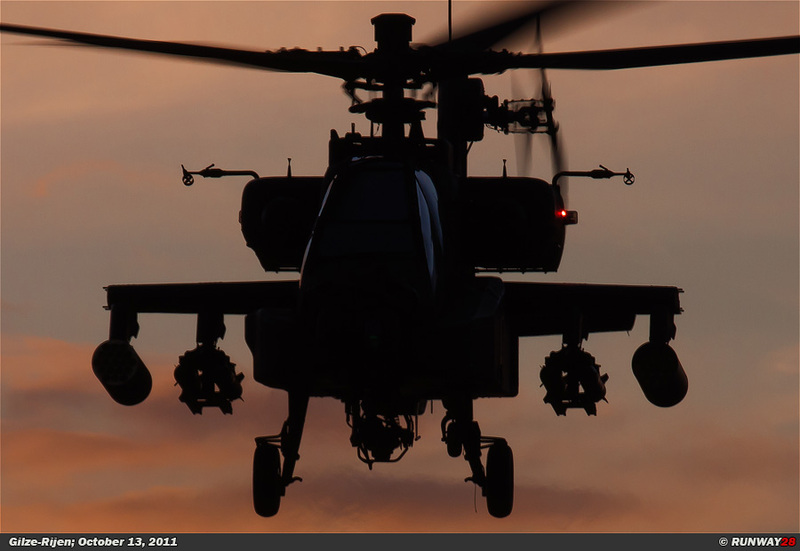 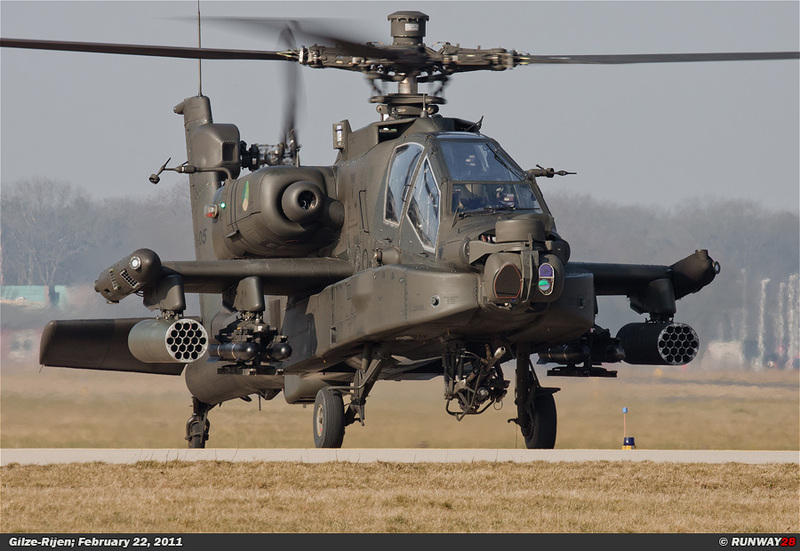 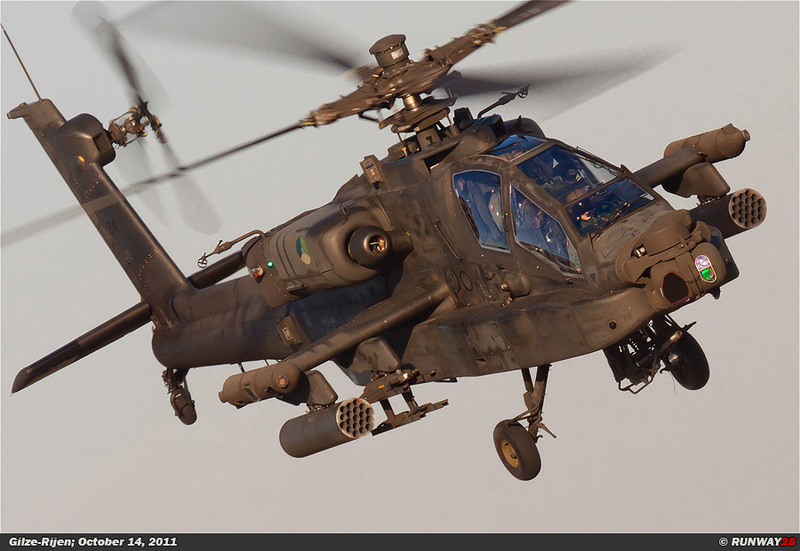 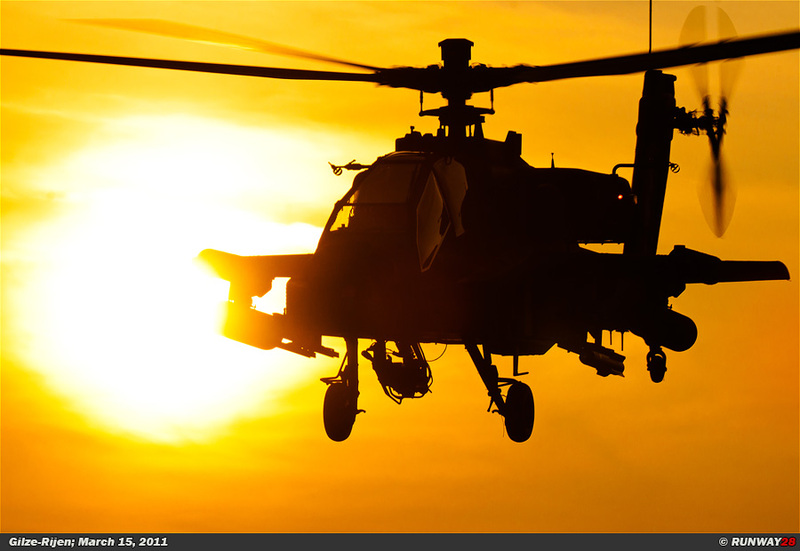 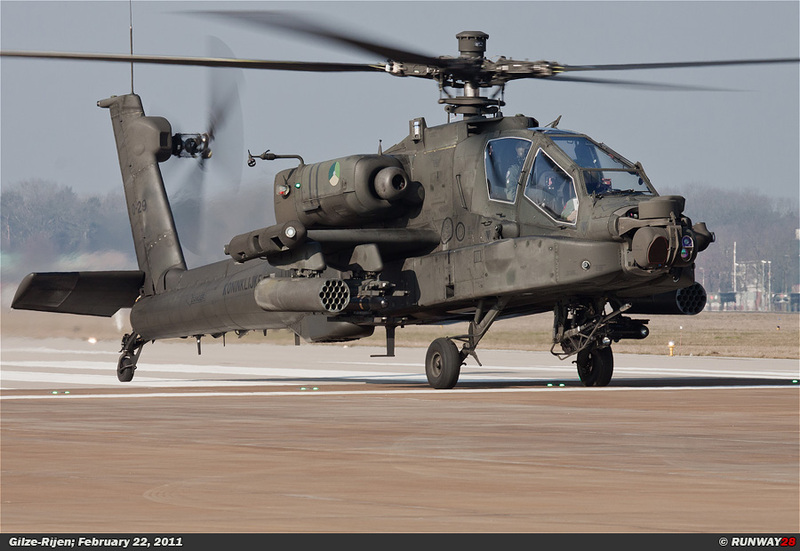 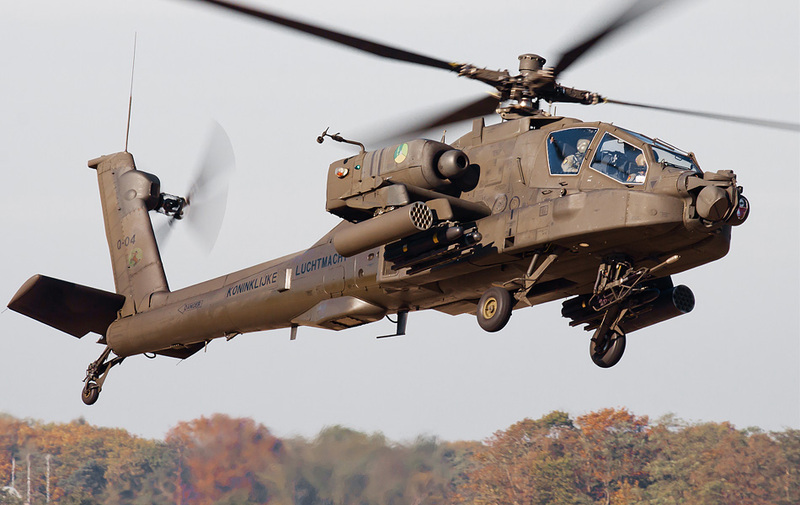 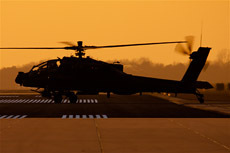 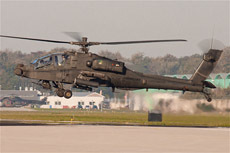 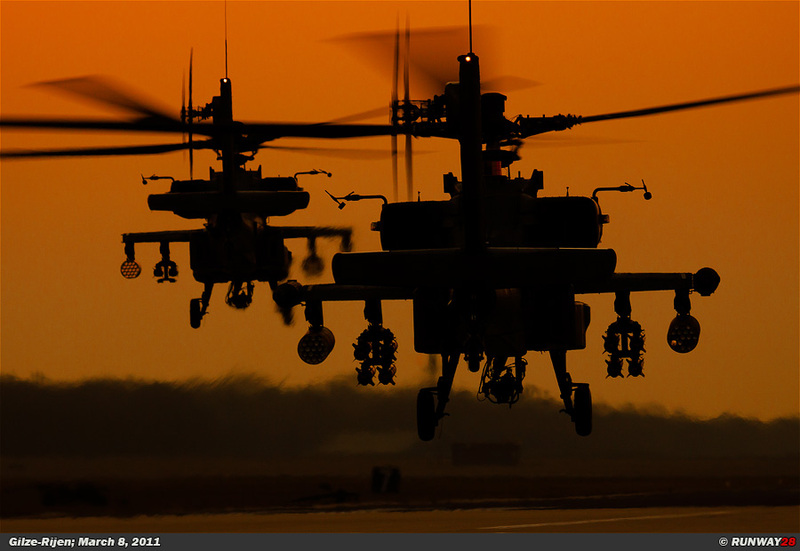 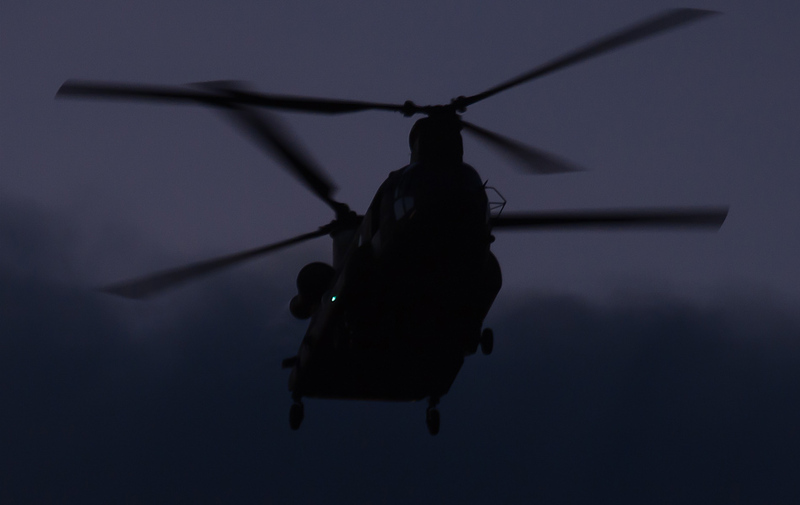 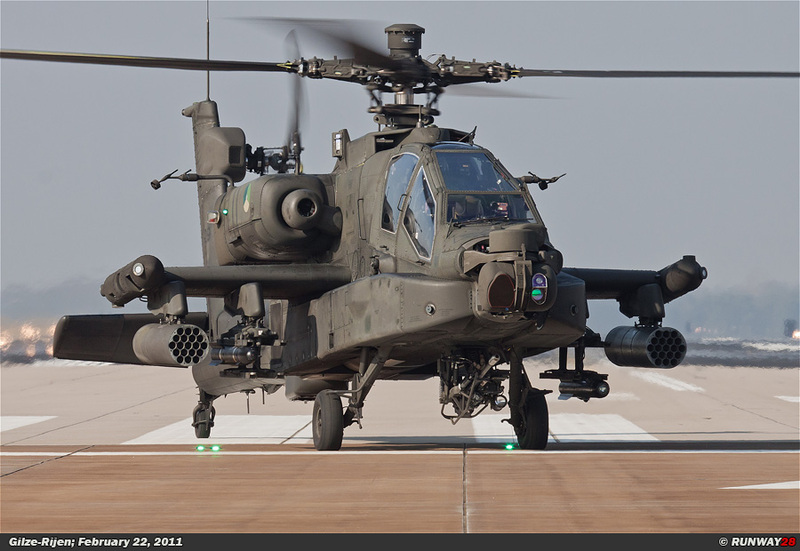 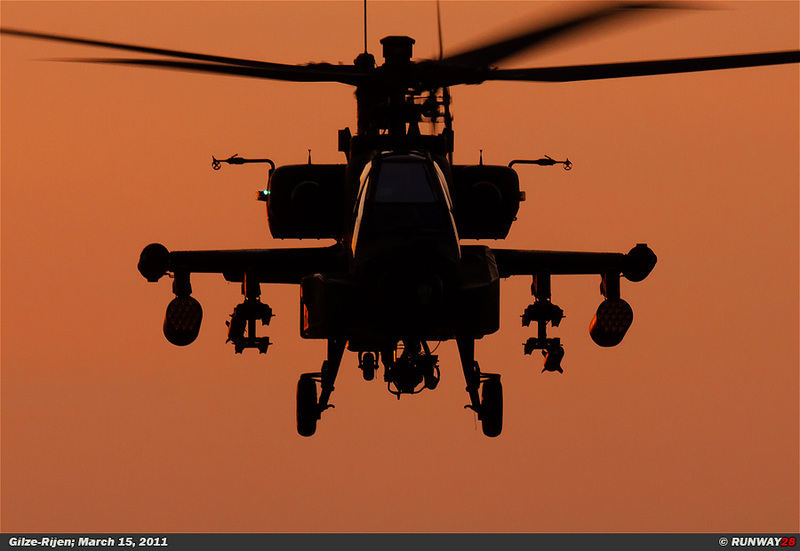 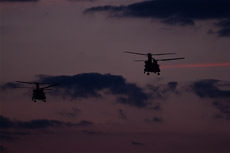 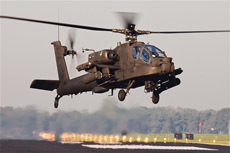 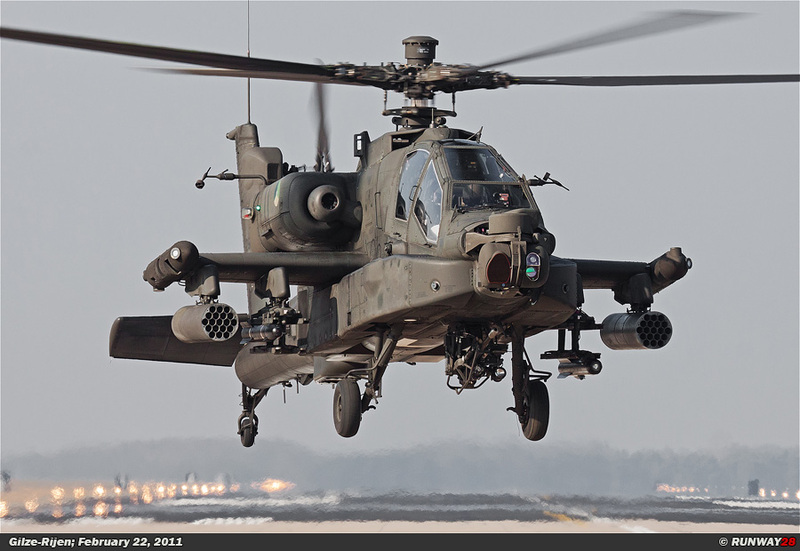 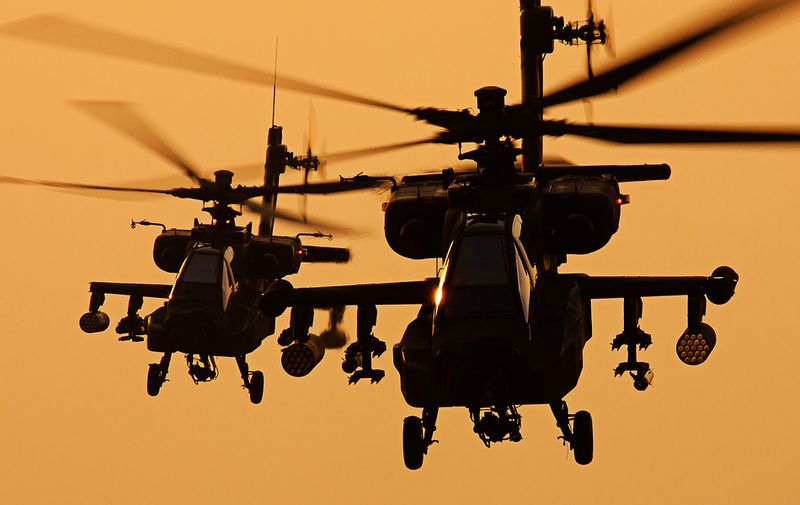 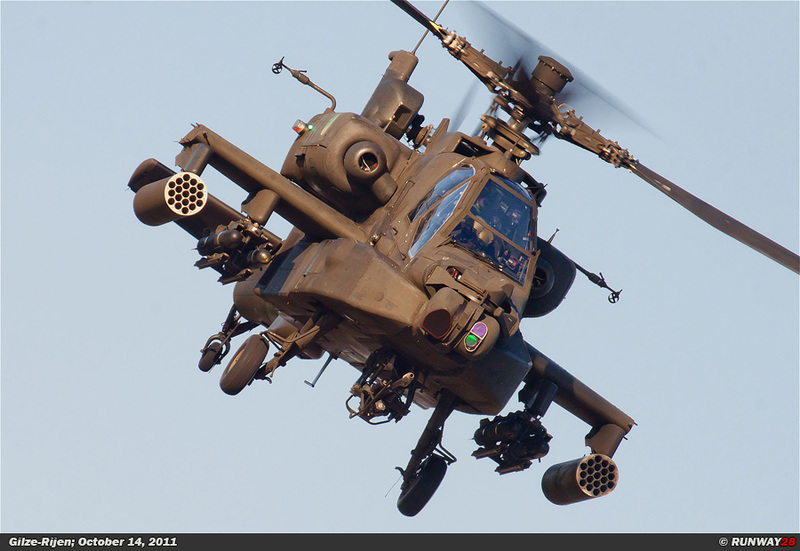 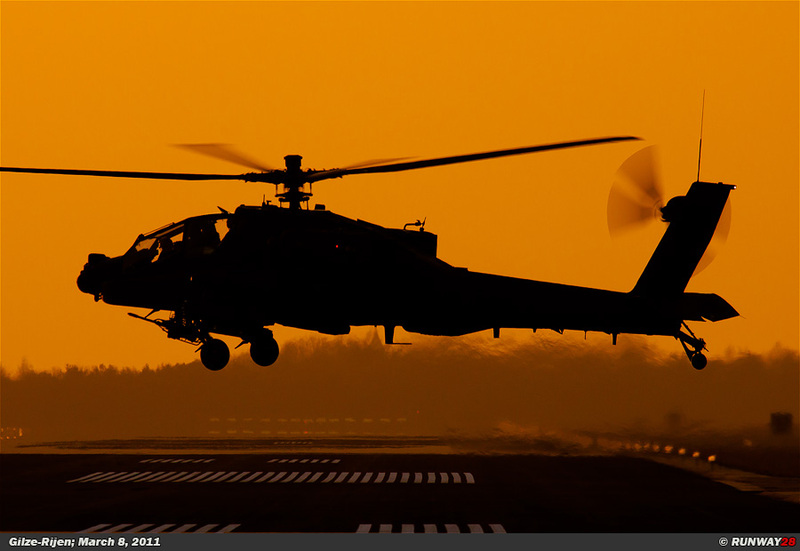 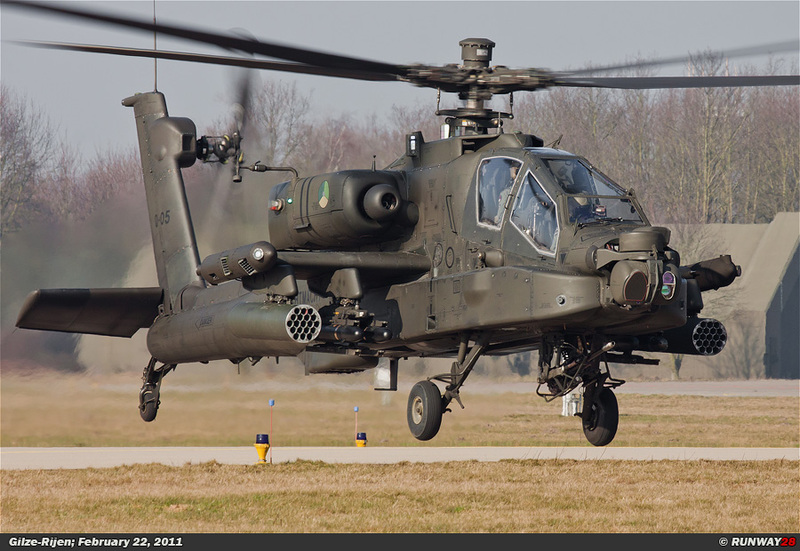 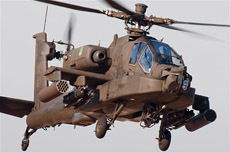 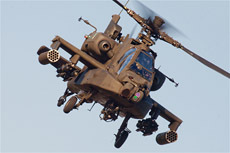 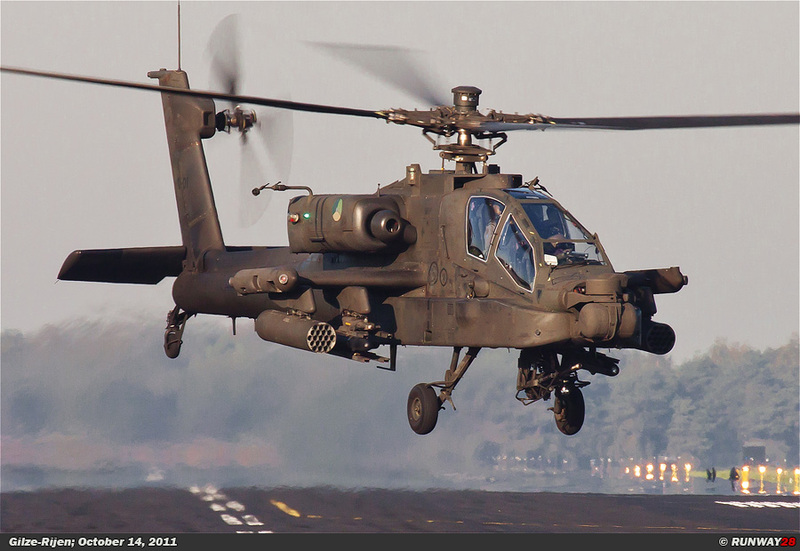 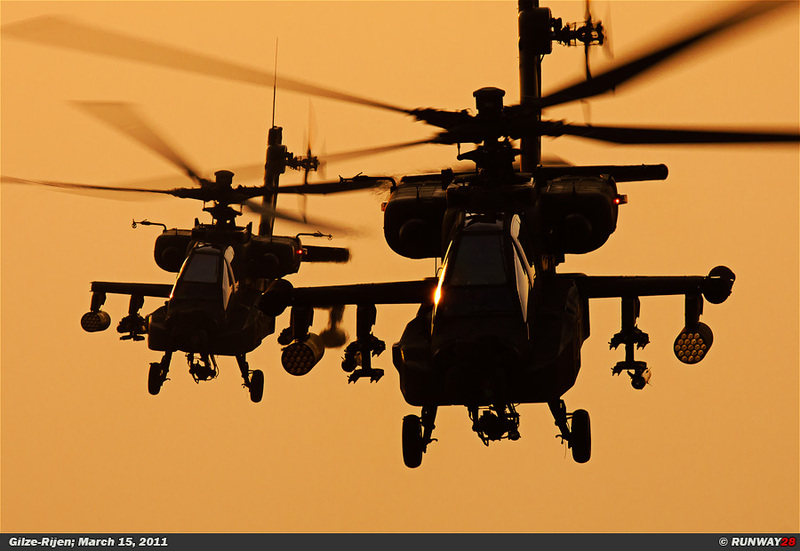 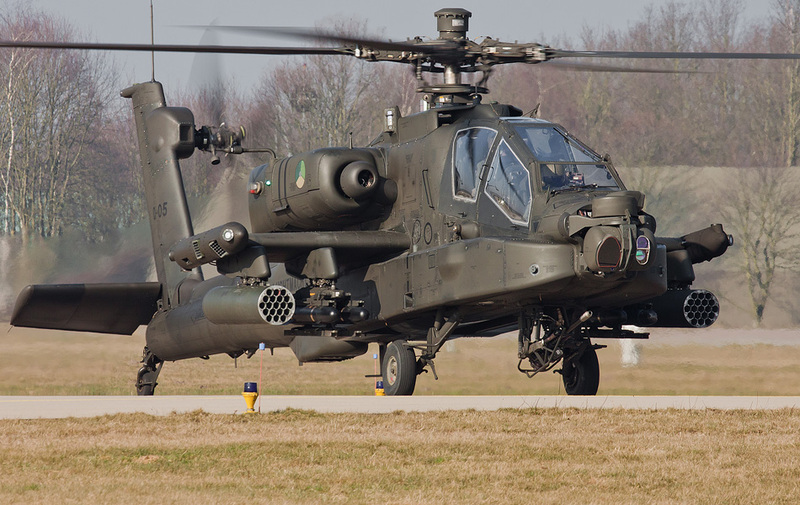 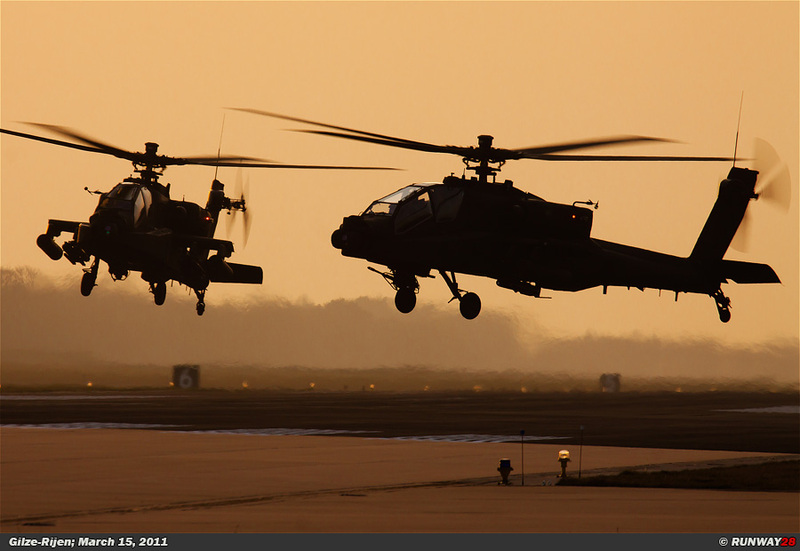 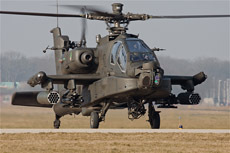 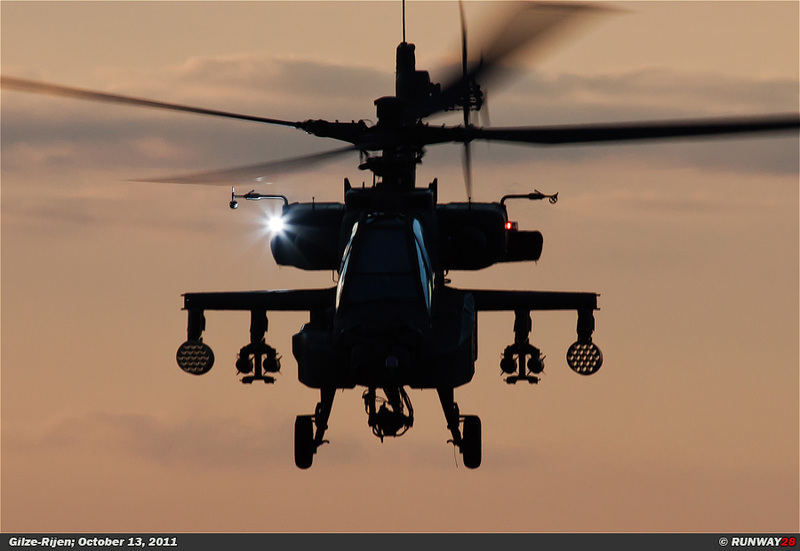 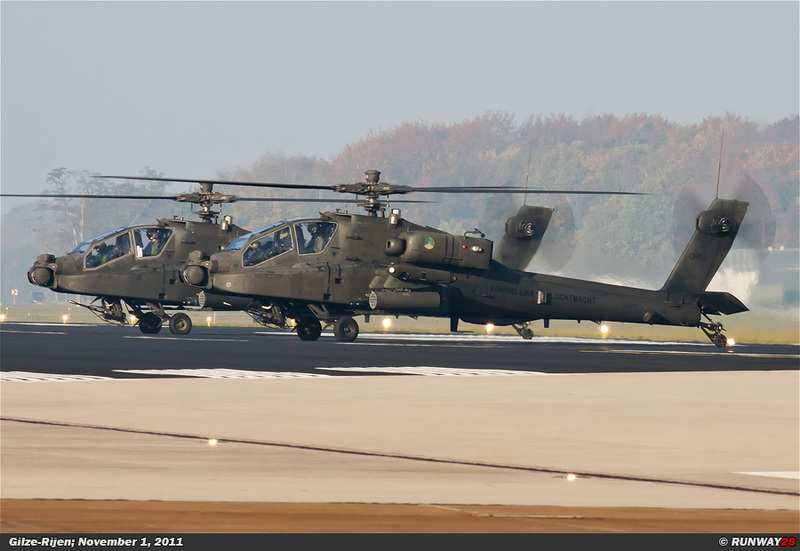 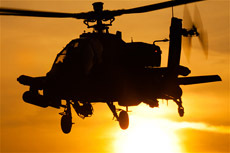 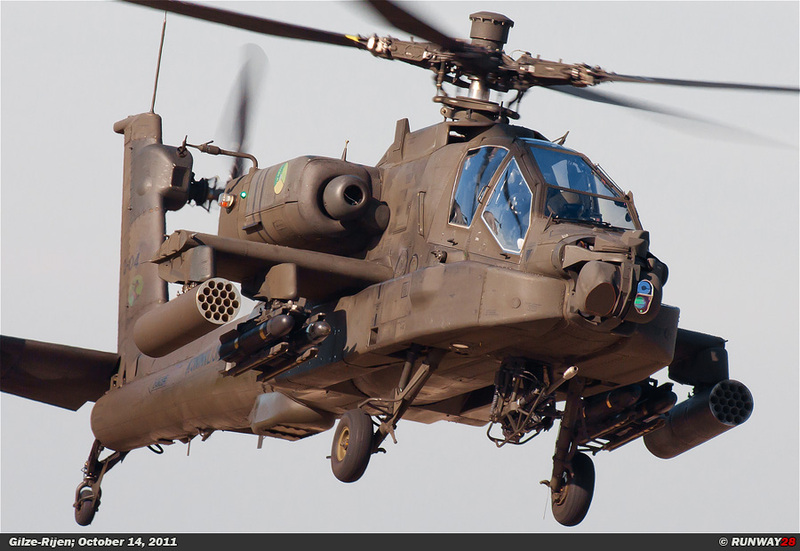 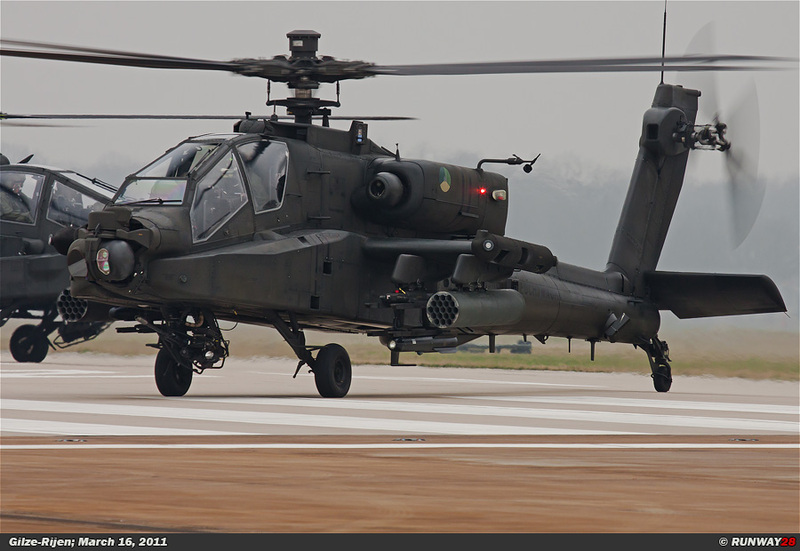 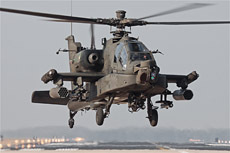 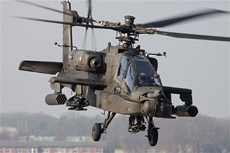 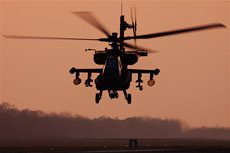 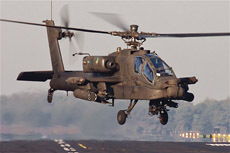 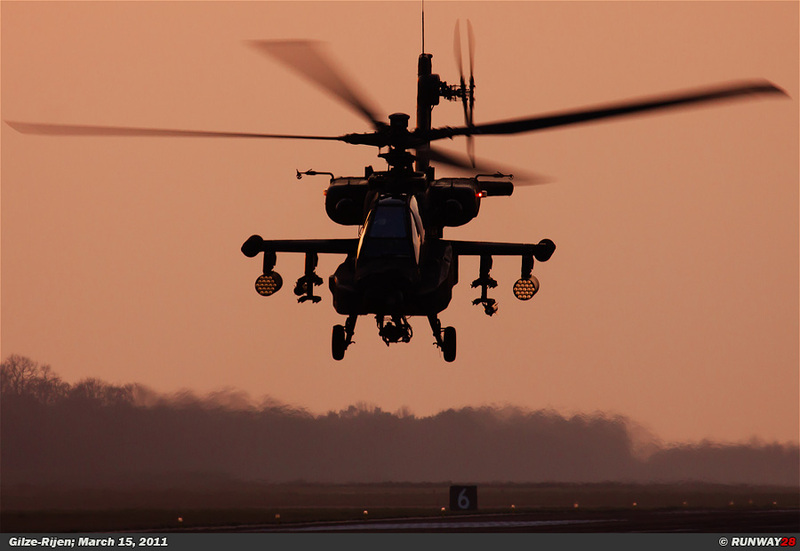 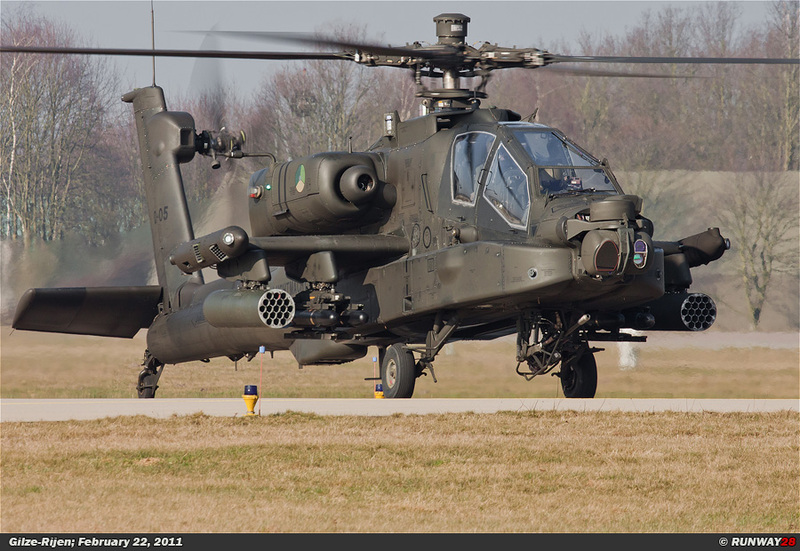 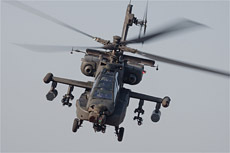 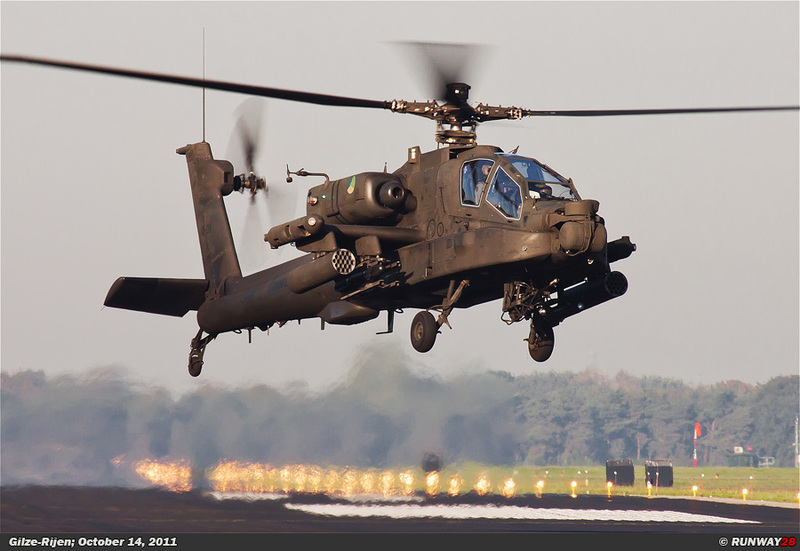 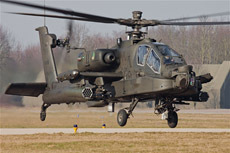 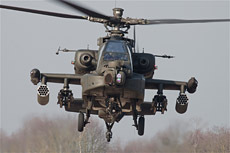 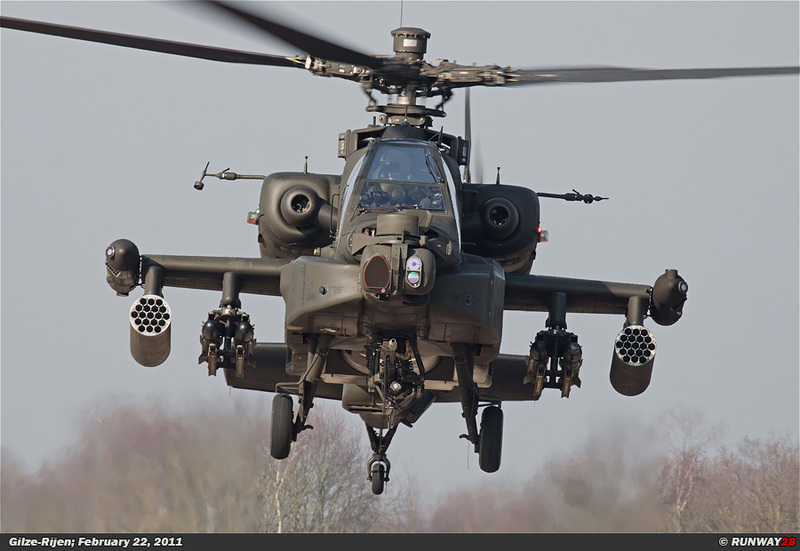 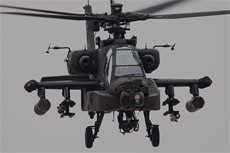 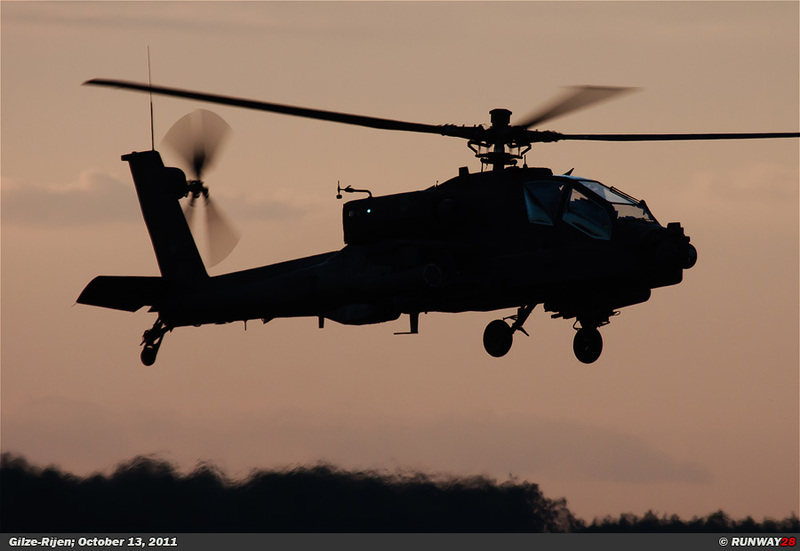 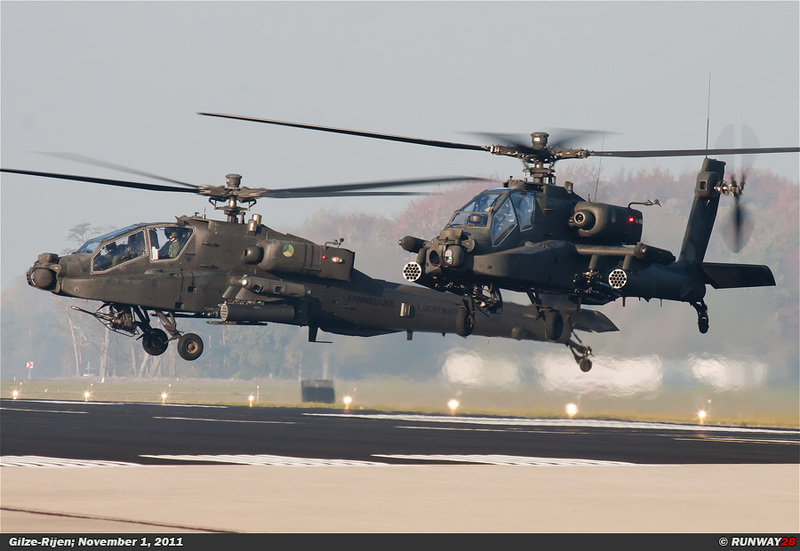 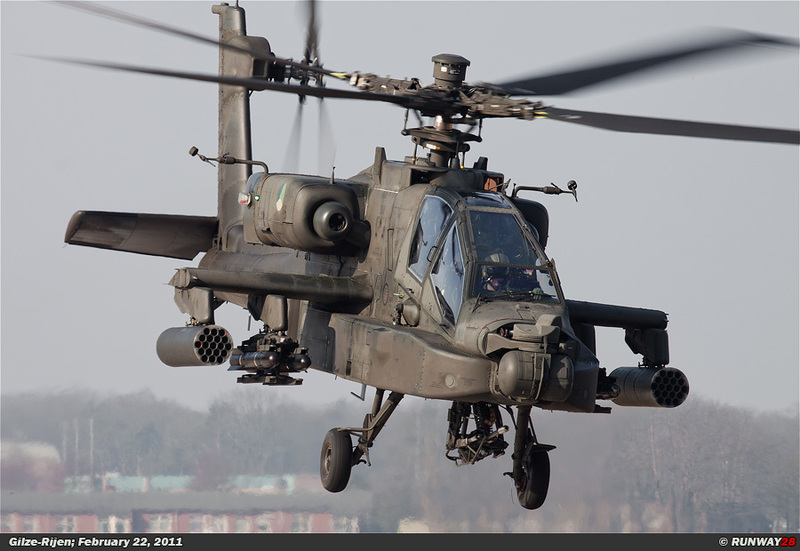 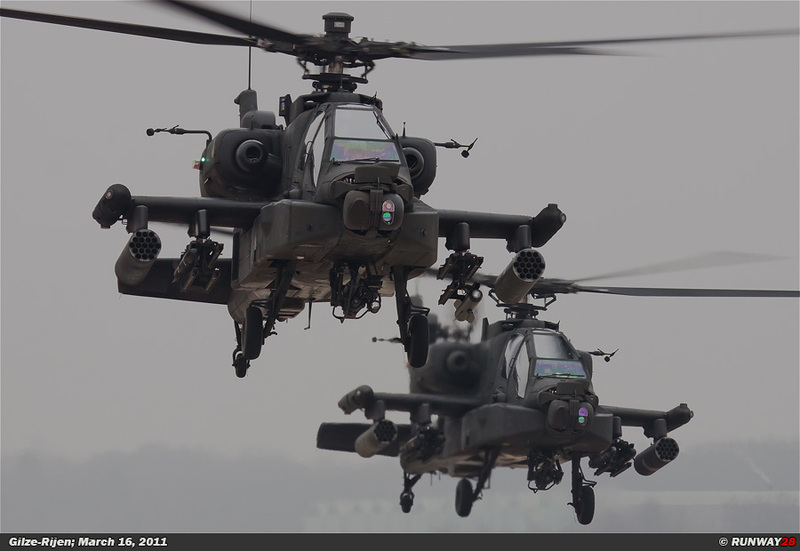 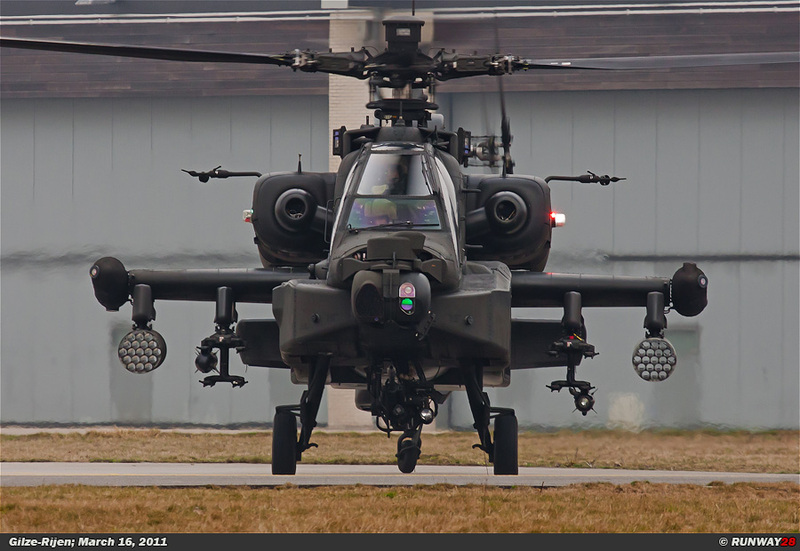 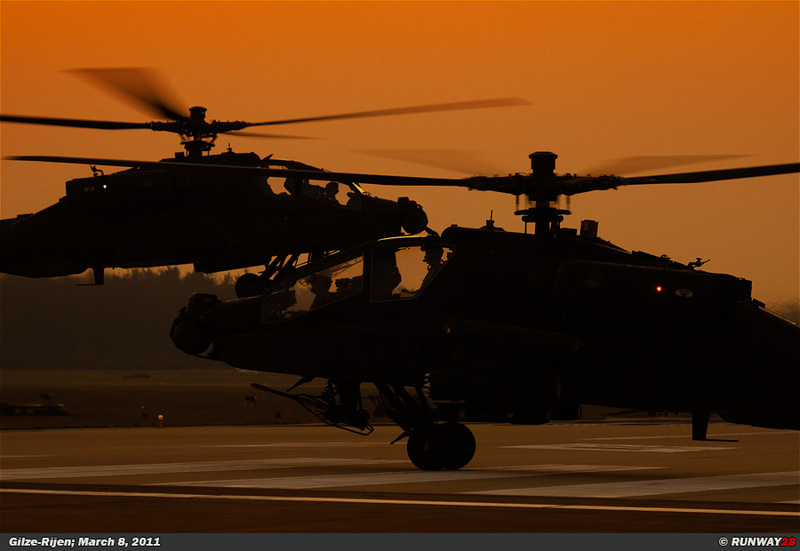 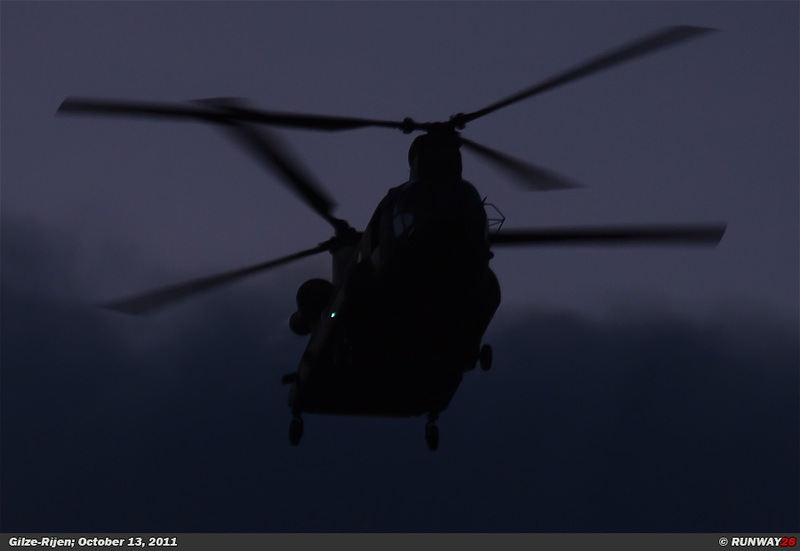 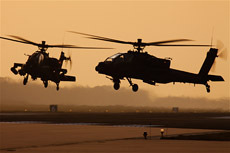 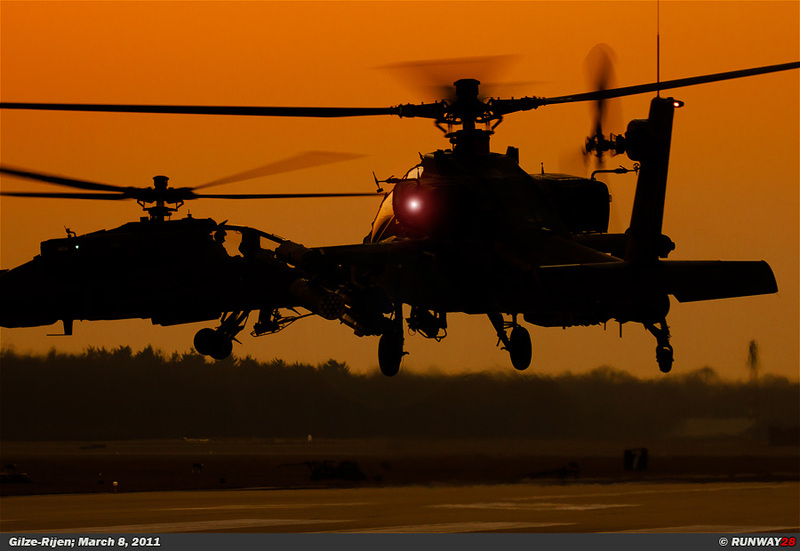 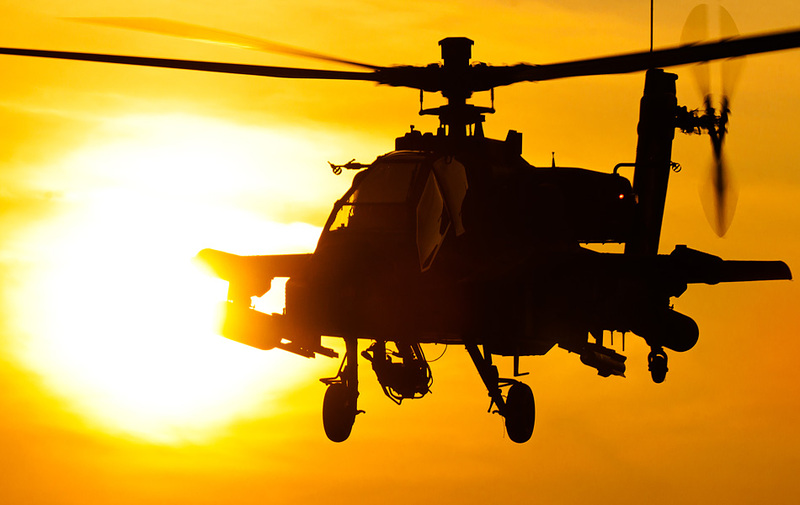 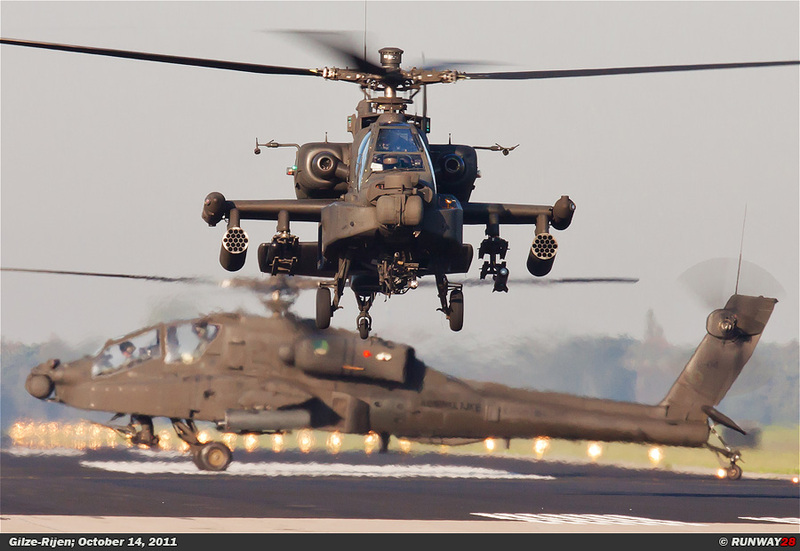 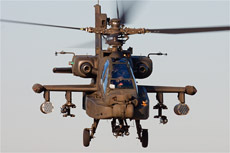 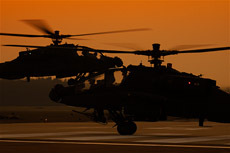 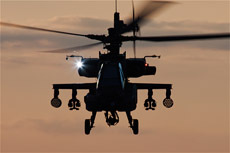 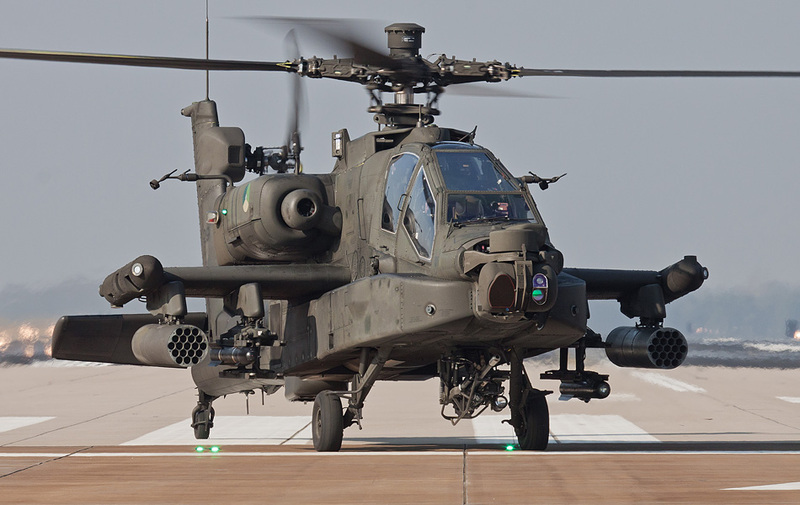 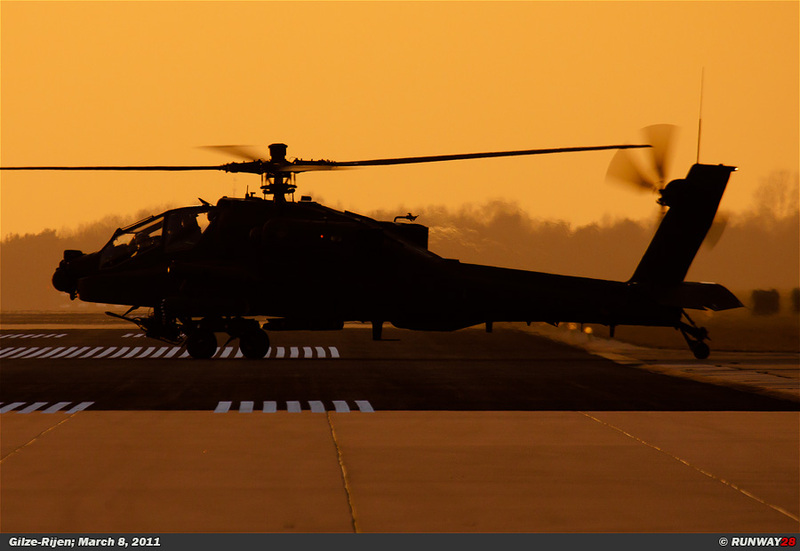 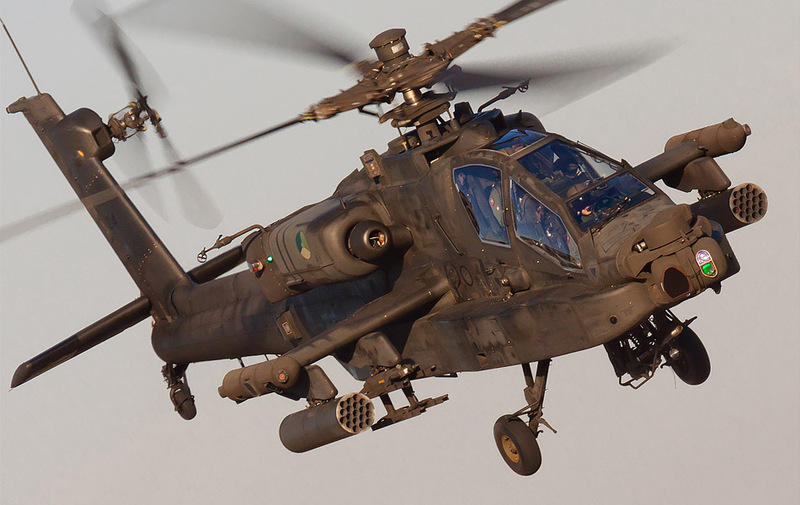 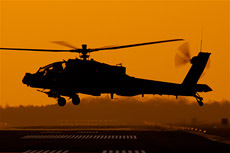 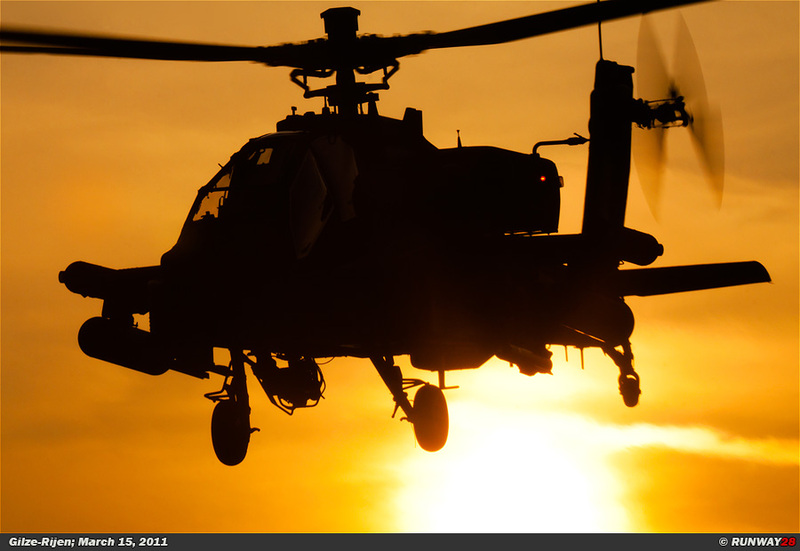 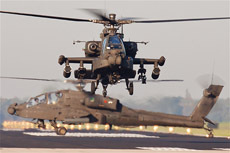 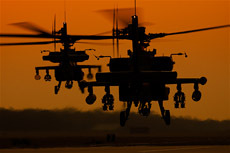 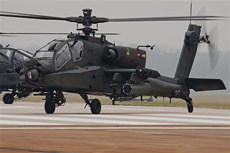 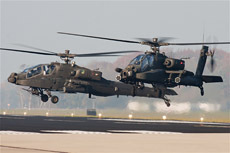 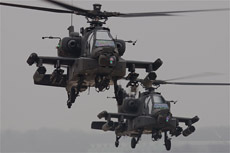 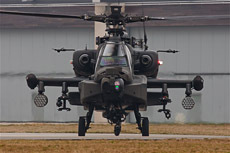 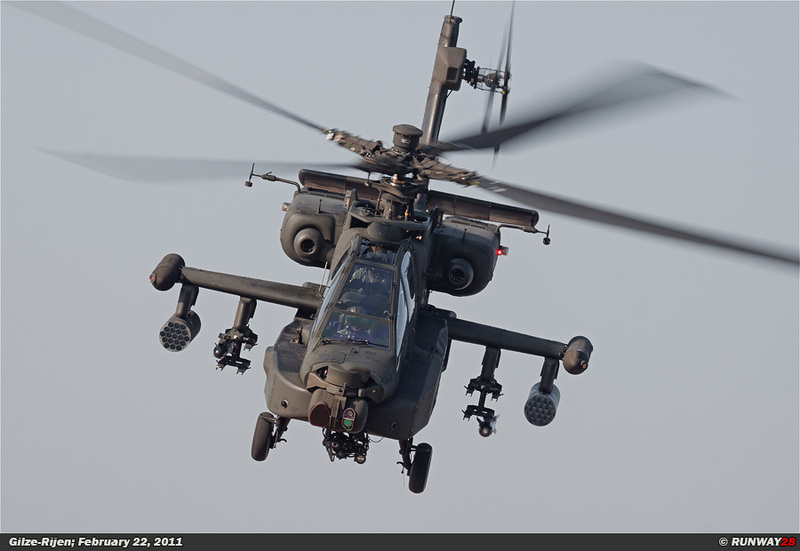 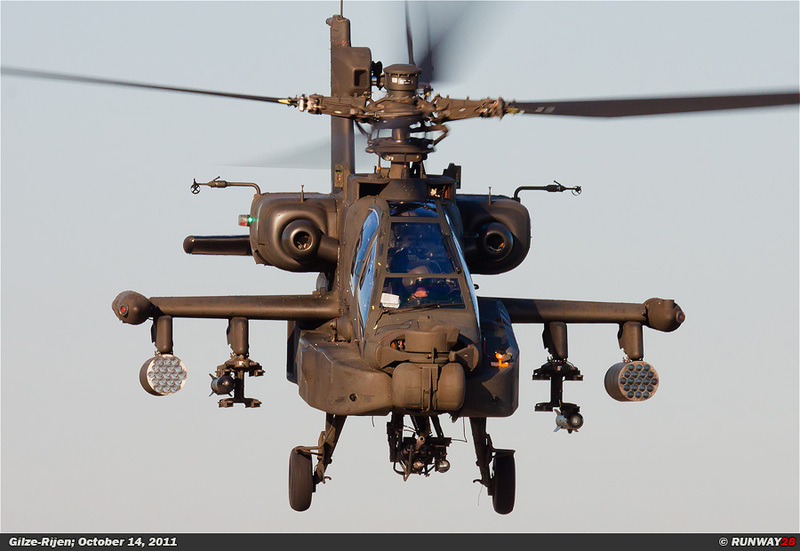 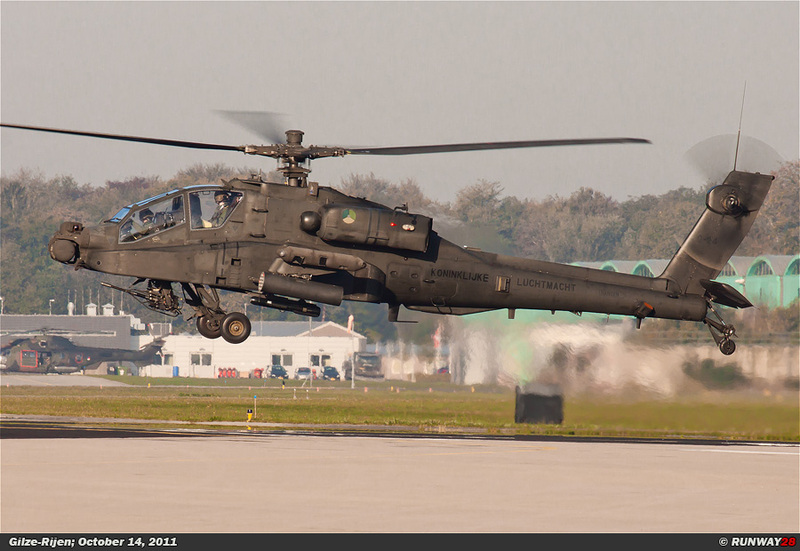 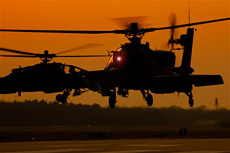 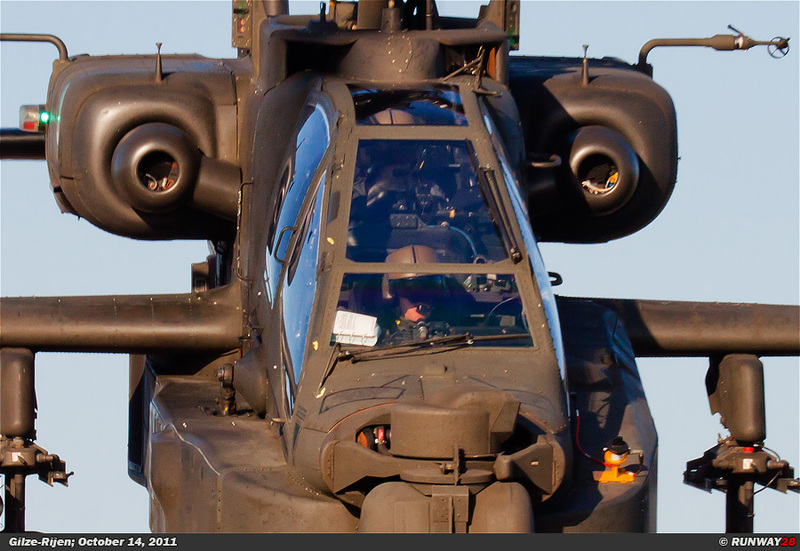 I’ve made a few beautiful sunset shots of the Apache helicopters at the start of the year 2011. 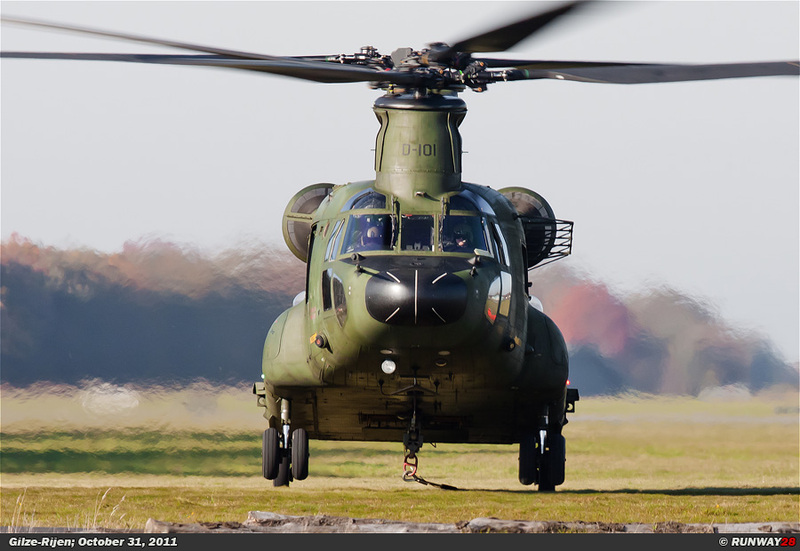 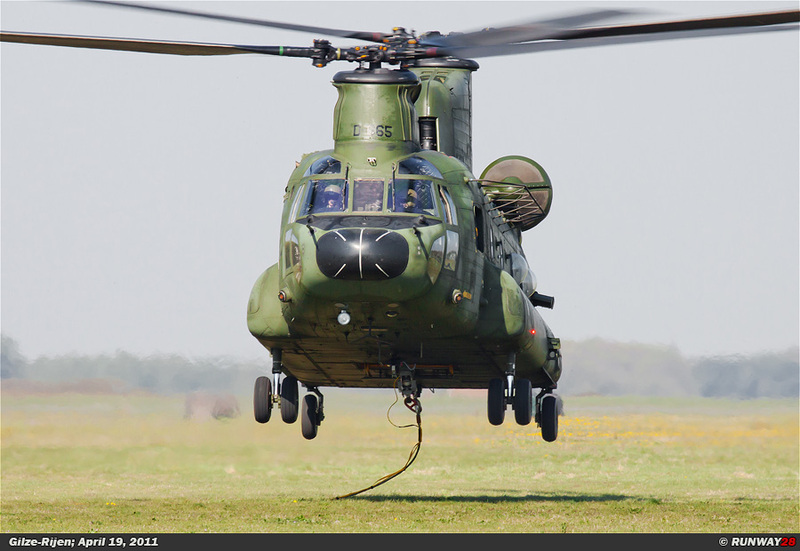 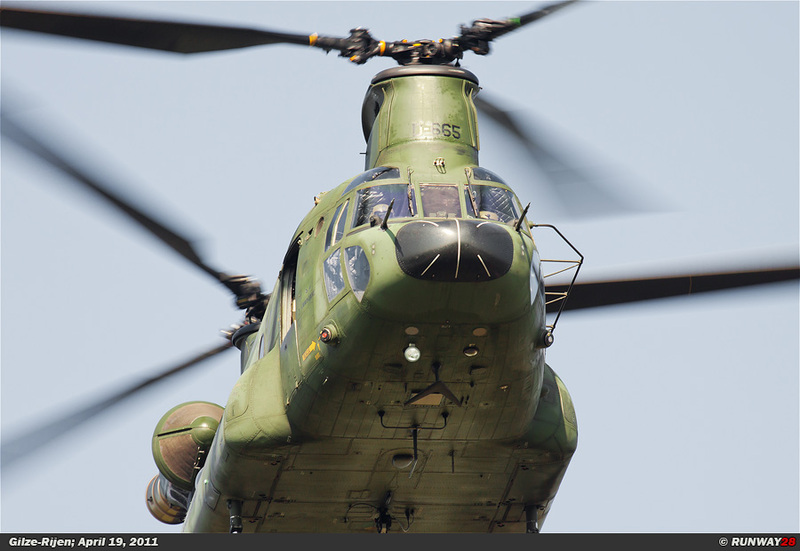 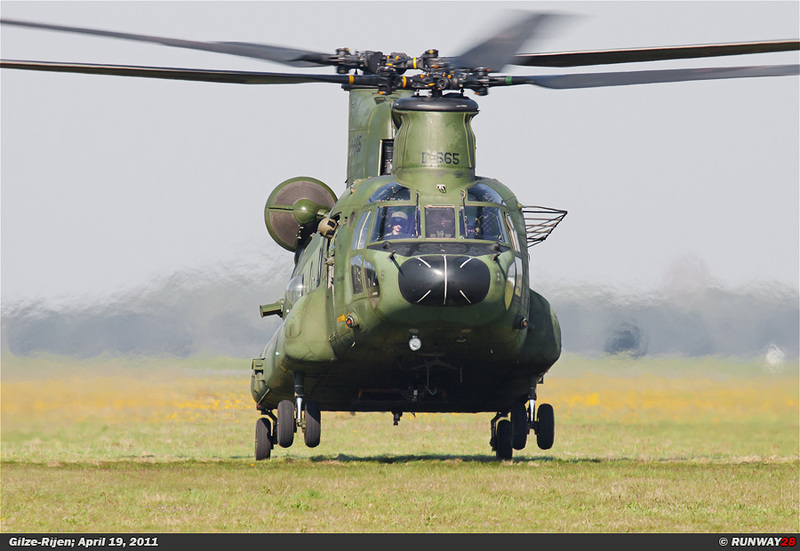 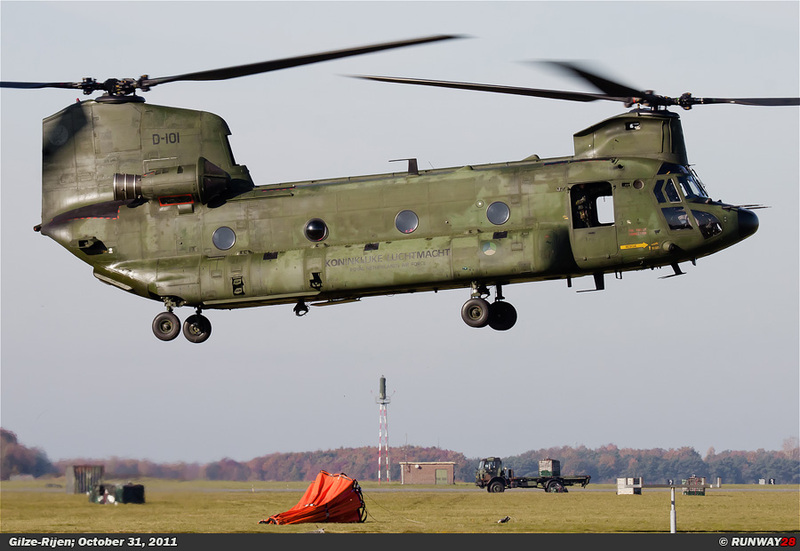 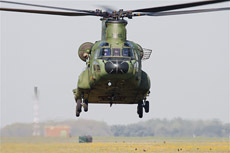 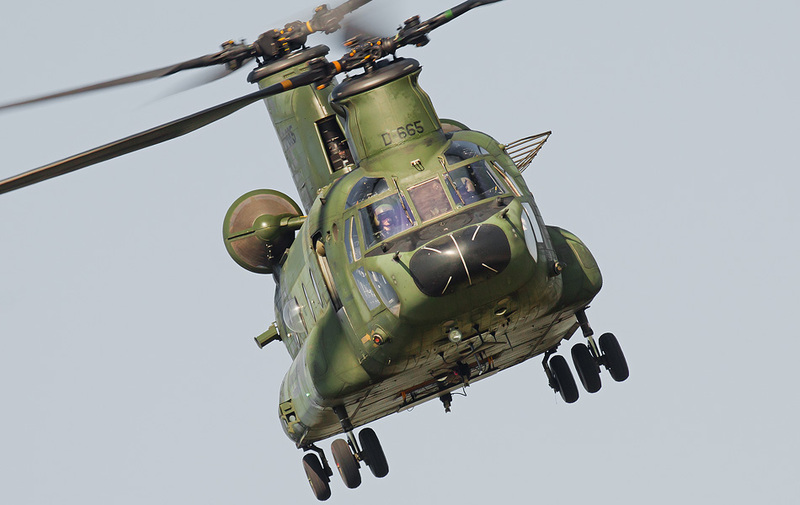 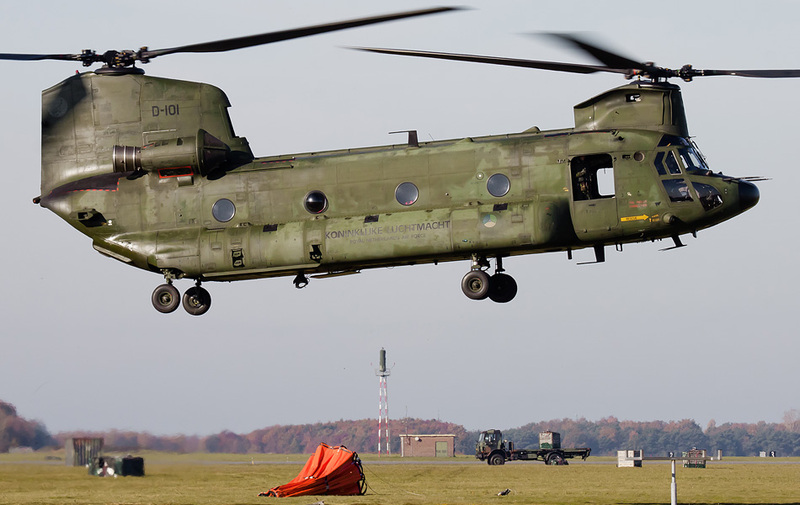 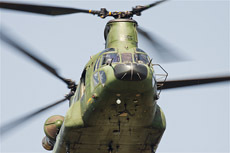 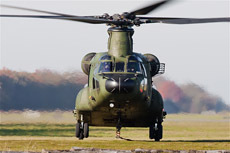 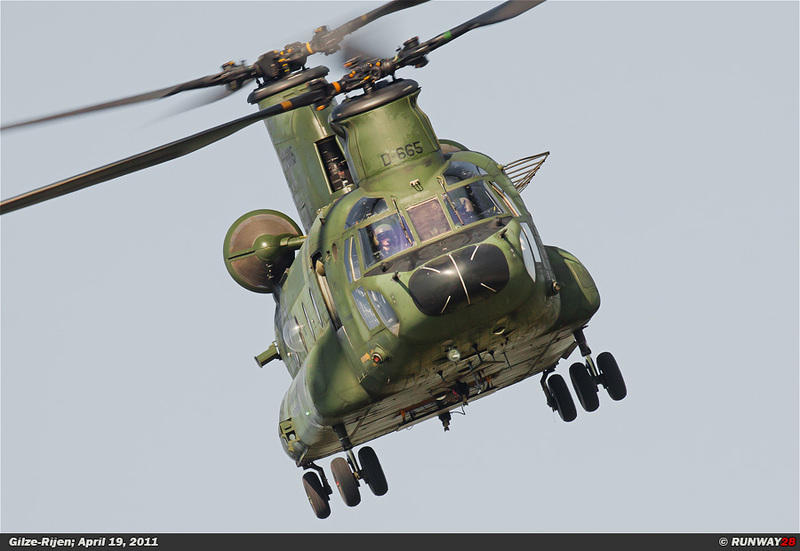 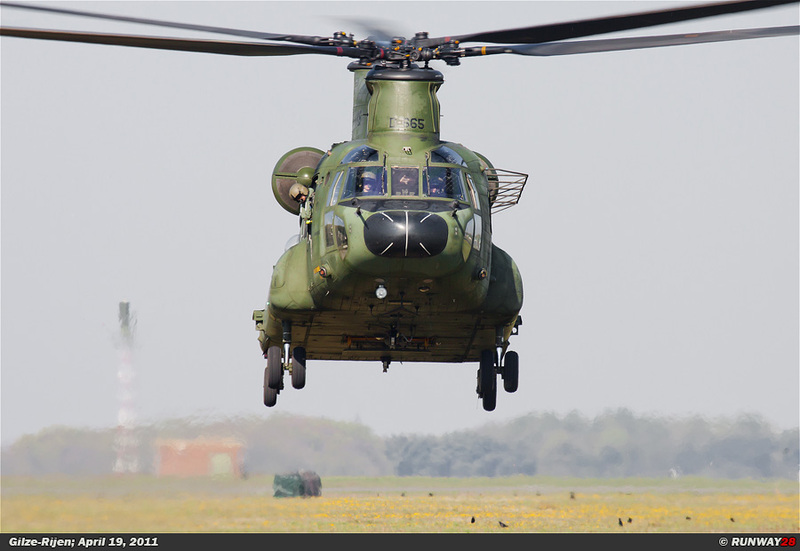 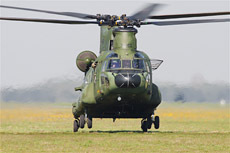 The transport helicopters often come to the head of the runway 28 to pick up their sling loads from the grass strip. 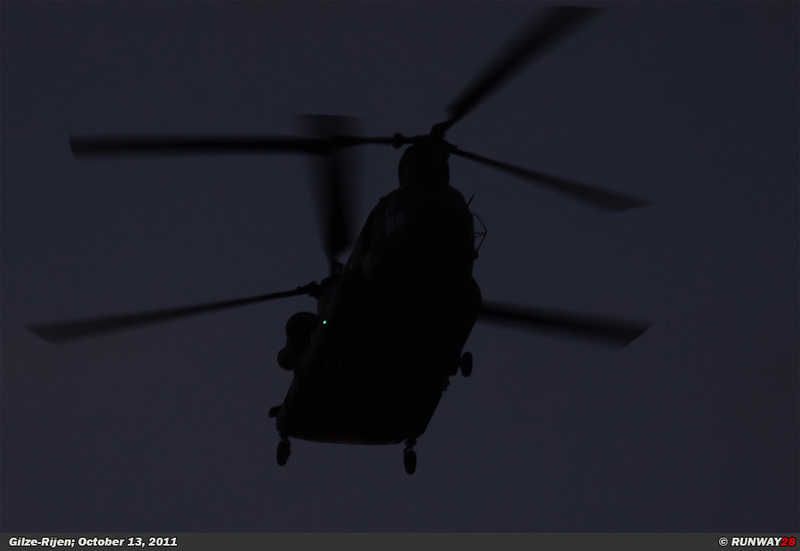 This results in helicopters hovering low over the grass. 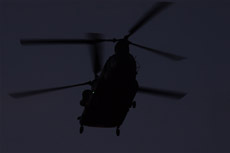 The results are especially in the morning hours good.